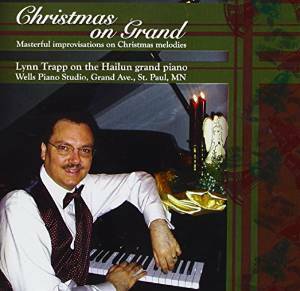 In 2010 he released Christmas on Grand at Wells Piano Studio in downtown St. Paul. Throughout his career of national and international scope, Dr. Lynn Trapp’s work as concert organist, liturgical pianist, conductor and composer has gained highest acclaim and respect. This unwritten and unedited collection of piano improvisations on Christmas melodies was recorded in one sitting. Each differs in variation and mood. Each is a spontaneous masterpiece in and of itself. These creations for solo piano are sure to inspire the musical and spiritual joy of Christmas.